Dave and I are fortunate to live in the Pittsburgh, PA area which was one of the places famous telescope maker John A Brashear also called home. His humble beginings as an instrumeter builder began a short distance from this musuem. An entire building was erected in John's honor. Years ago I made telescopes in the basement of this building which also hosed a small machine shop. Telescope making is no longer praticed there however an area on the first floor still serves after many years as a shrine to John. He are a few pictures. All images taken at Brashear Center in Pittsburgh's south side by Dave Smith. A beautiful portrait of the master himself. This picture shows quite a number of interesting things. A Brashear reflector can be seen on the far left on wheels. 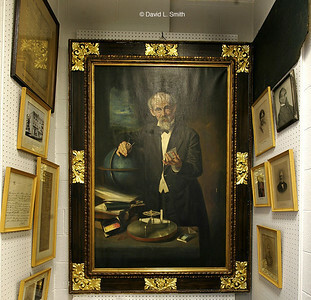 Portraits of John A Brashear abound as well as certificates as to his accomplishments. 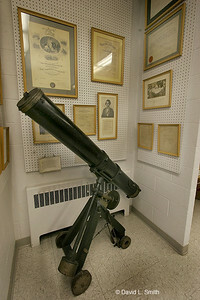 One of the telescopes in this picture is the very first a young John Brashear first looked into. 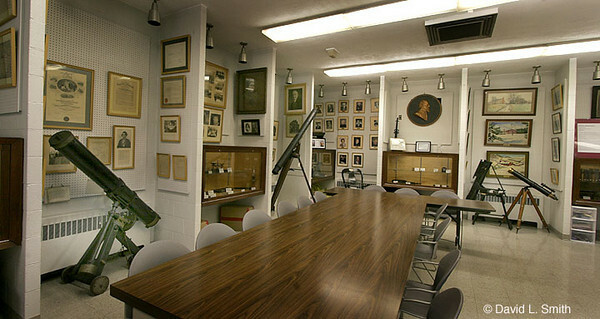 Another look at the musem room from a different angle. 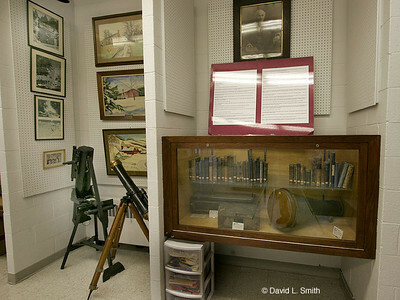 Case includes many books and instruments by Brashear. More of his telescopes appear on the left. 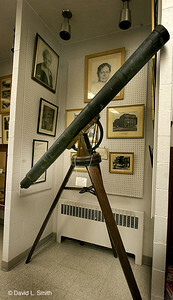 This is the first telescope John Brashear looked through as a boy in Brownsville, PA Fayette County. Squire Wamper's telescope a closeup. Brashears first look at the heavens was through this instrument.